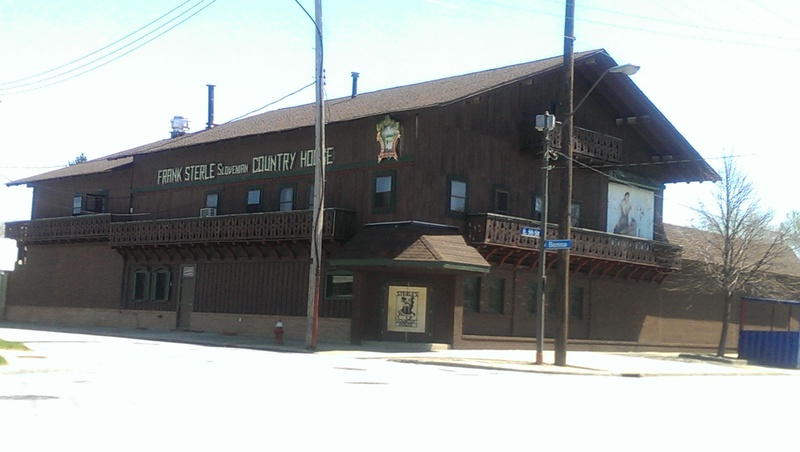 purchased Sterle’s in 2012. Chef Jeff Jarrett has accepted the position as Executive Chef and GM of Semersky’s entire portfolio of properties and is breathing new life into the old chestnut (as well as the neighborhood). This includes a health-focused Café 55, followed by Goldhorn Brewery led by a Great Lakes Brewing Co. veteran as well as The Market, an evolving weekly incubator market with local foods and crafts, and a “signature restaurant” in the former St. Clair Cleveland Public Library and Lakeshore Banking and Trust building. Jarrett’s first order of business was to bring in Walter Hyde and Scott Slagle to run the smoker and beer garden at Sterle’s. 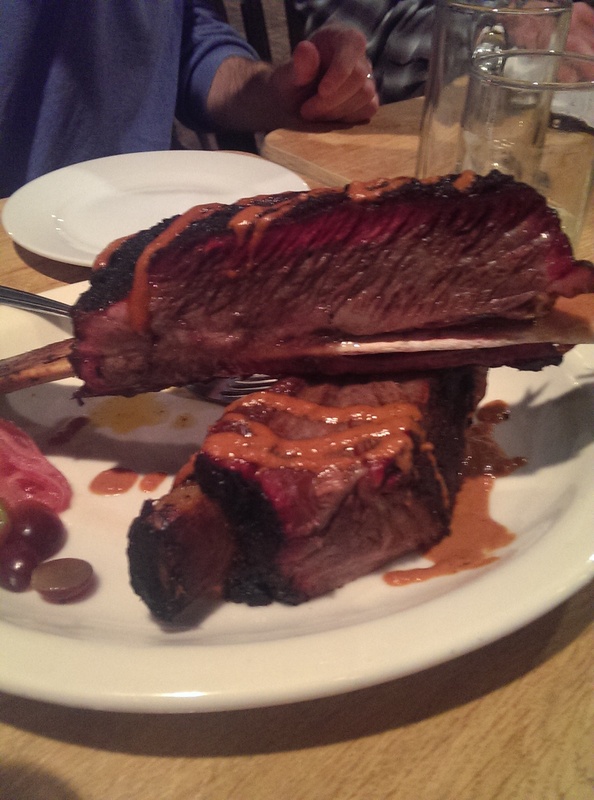 Their smoked meats, particularly their smoked prime rib, are legendary. 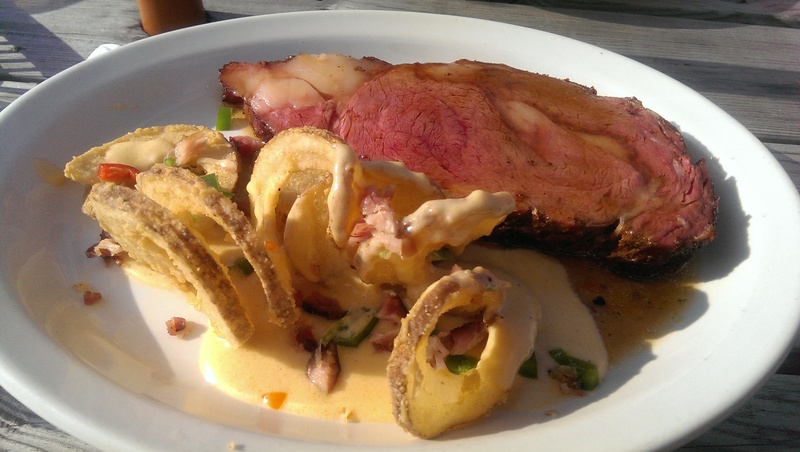 I’m not kidding when I say the smoked prime rib is probably one of the best things I have ever eaten. 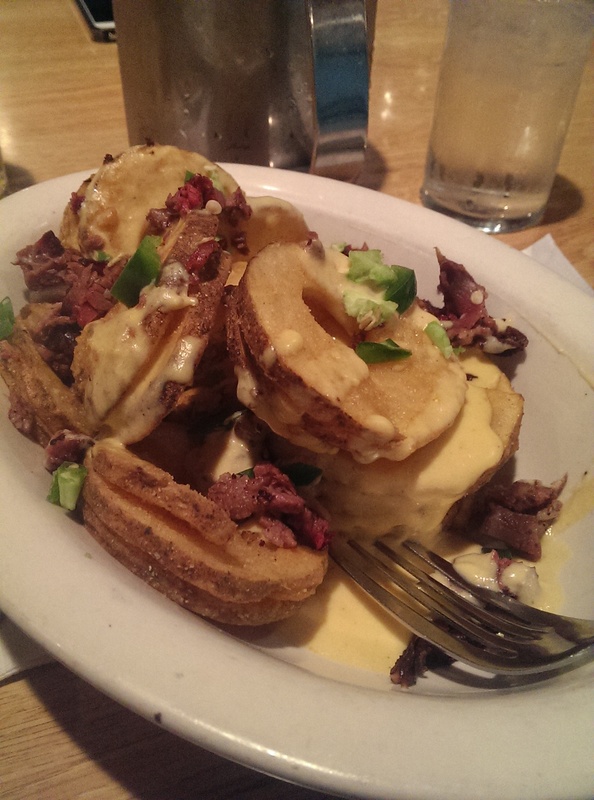 They’ll be serving it up at Sterle’s every Friday. 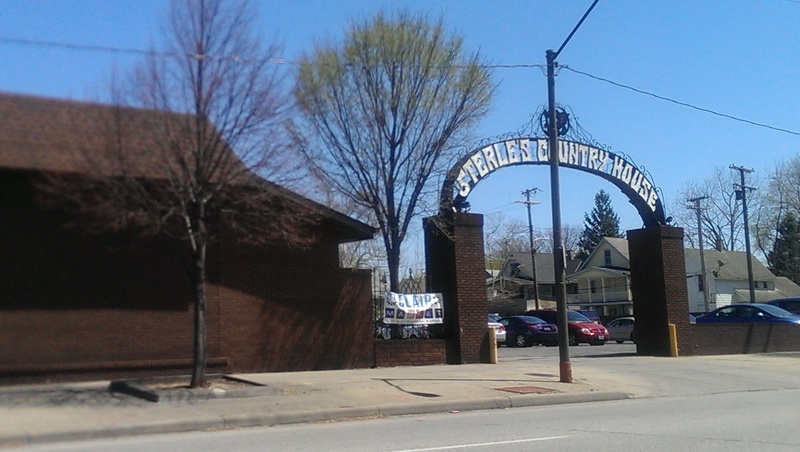 Sterle’s is one of Cleveland’s “big S” institutions (my nickname) – Slyman’s, Sokolowski’s, and Sterle’s. I’ve been hearing about Sterle’s since I was a kid. My father worked just down the street at Richman Brothers for 25 years, and that was my first job as well (doing inventory counting bolts of cloth and cut pieces during Christmas break). 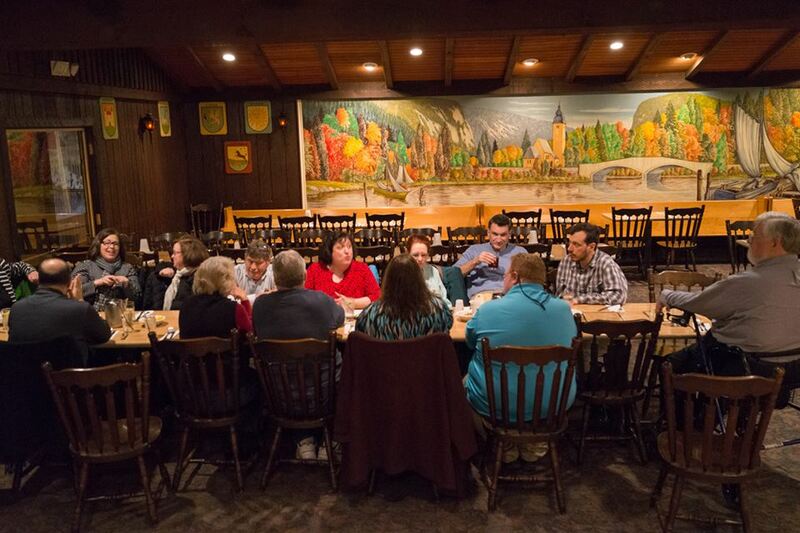 He and his coworkers met monthly at Sterle’s for another 20 years after it closed. The building is massive. The beer hall is flanked by a huge mural to the left and the bar to the right. The two areas are separated by the area where the polka band sets up and the dance floor. The food is plentiful, but don’t go there expecting great service (but that could change with Jarrett at the helm). And the menu is much smaller than it used to be. The menu got overhauled in 2012, but the old favorites are still there. Unfortunately the food also suffered. I’m confident that will change under Chef Jarrett. 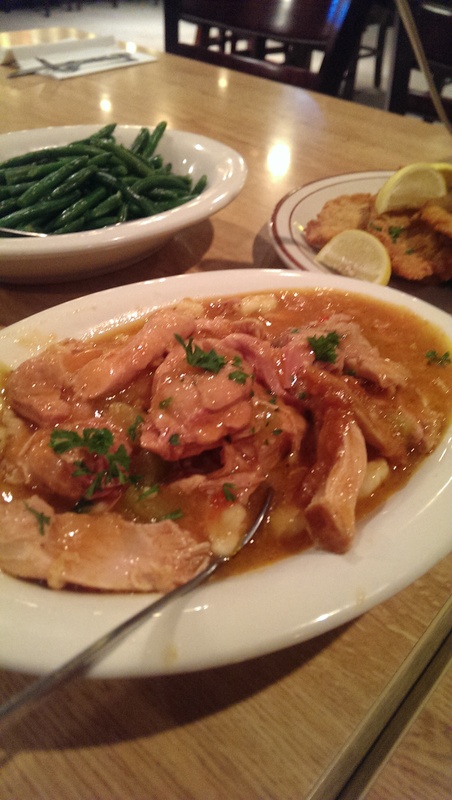 The chicken paprikash is always a good bet and has some good chunks of pepper. Dad’s favorite, the Slovenian sausage, is no longer on the menu, but they do still have sausage on the menu. Even before Walter and Scott came on board they made awesome sausage. The waitresses aren’t in dirndls anymore. They are wearing black t-shirts instead. 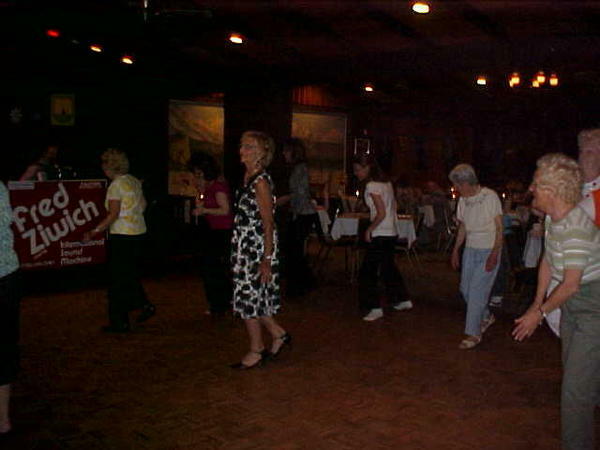 A polka band is still playing most nights, and some brave souls do venture out onto the dance floor. The beer selection has greatly improved. 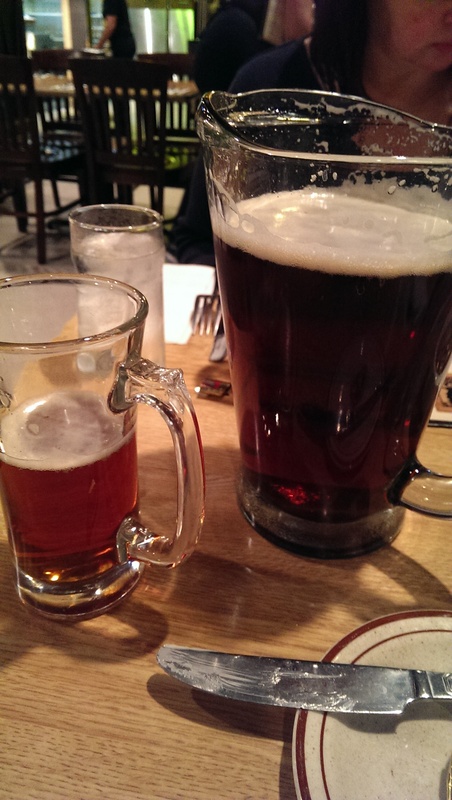 There are some great beers available on tap as well as other imports like Lasko – and they serve my favorite beer, Stiegl (a beer brewed in Salzburg, Austria) in bottle. Stiegl brings me back to my junior year abroad in Salzburg in college when I could get various Stiegl choices out of the vending machine in the dorm. To start, the server brings you a loaf of white bread to snack on while waiting for the meals. The bread was soft, but good lathered in soft butter. 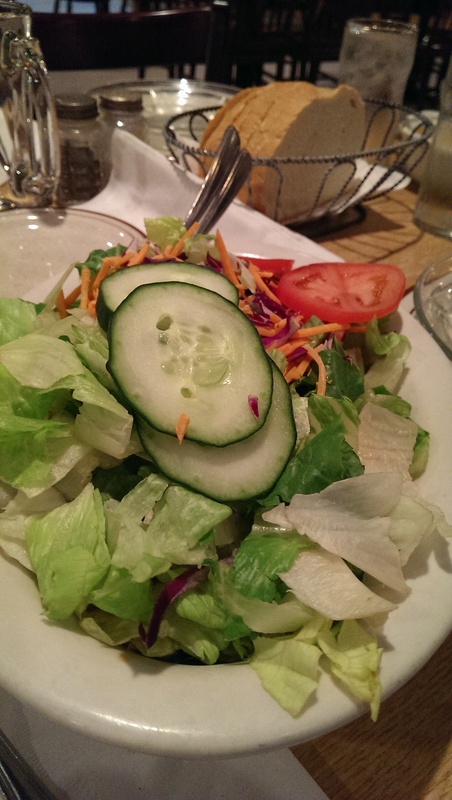 You also get salad for the whole table to share. You can add Sterle’s Chicken Soup for $1.50. That recipe hasn’t changed for 50 years. It’s not fancy, but is a decent chicken soup. I love ordering the Family Style Meal. You get a choice of three entrees, one side, a vegetable and dessert for $20 a person. 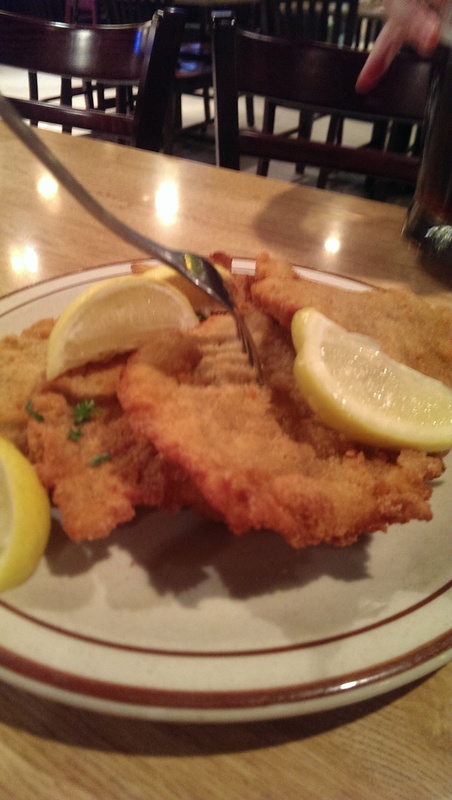 The choices include Wienerschnitzel, pork schnitzel, pierogi, chicken paprikash, sausage or roast pork. 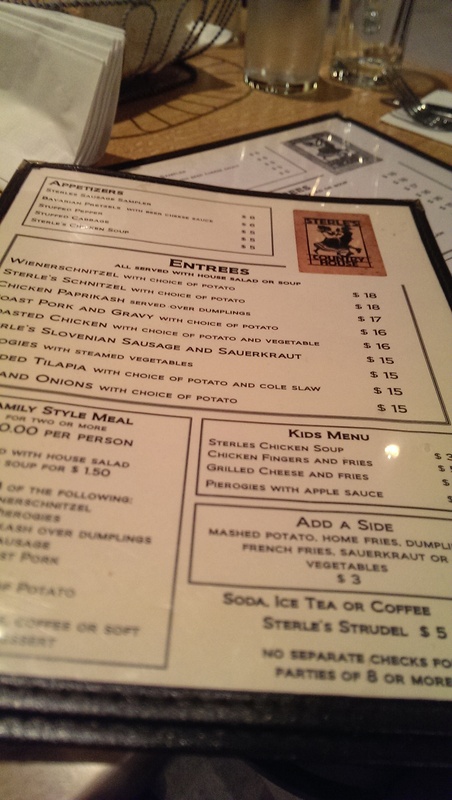 The side choices are dumplings (spaetzle), sauerkraut or potato (mashed, home fries, french fries). The schnitzel was good, if a little dry. 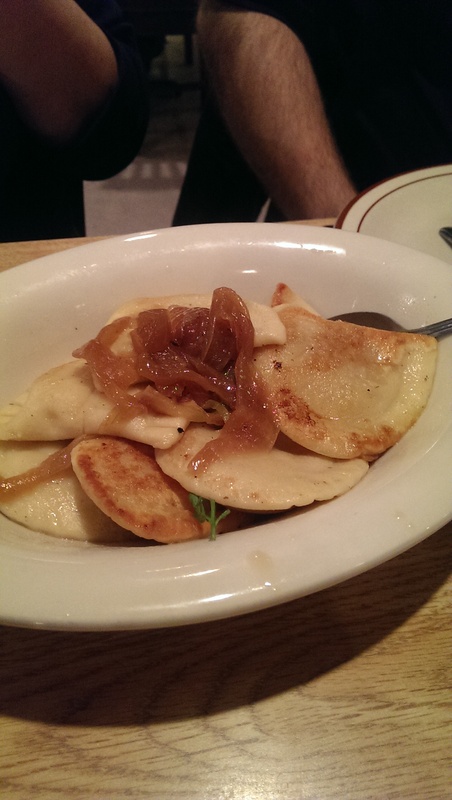 The pierogi are not dripping in butter and onions like at Sokolowski’s, but they are still tender and delicious. The chicken paprikash was the stand out for me. The chicken is tender, the dumplings are toothful, and it has chunks of peppers in the sauce. 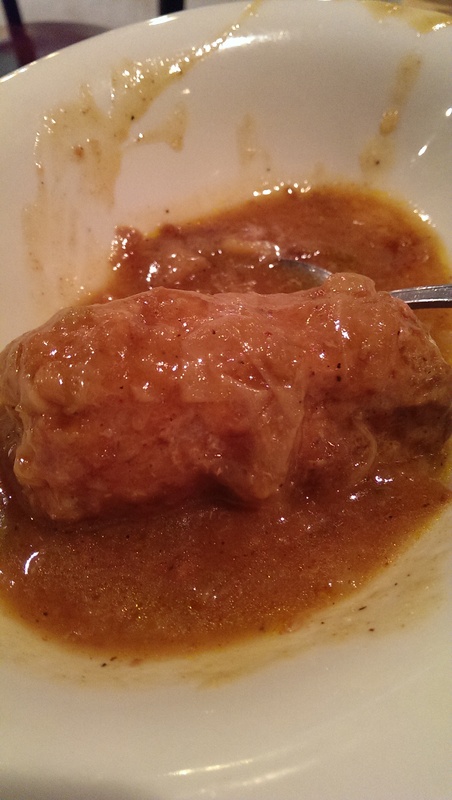 Stuffed cabbage isn’t one of the entree choices, but you can order it as a side. The cabbage is so tender it falls apart, and the stuffing is this wonderful, solid mix of meat. Not tomato-based, but still good. We were given dessert, but I forgot to take a picture of it and don’t even remember what it was. It certainly wasn’t strudel though. I would have remembered that! The beer garden opened last year and is a great addition. Tonight just happens to be its opening night for the summer 2015 season. It is quite the space – with lots of wood picnic tables and a bar outside. 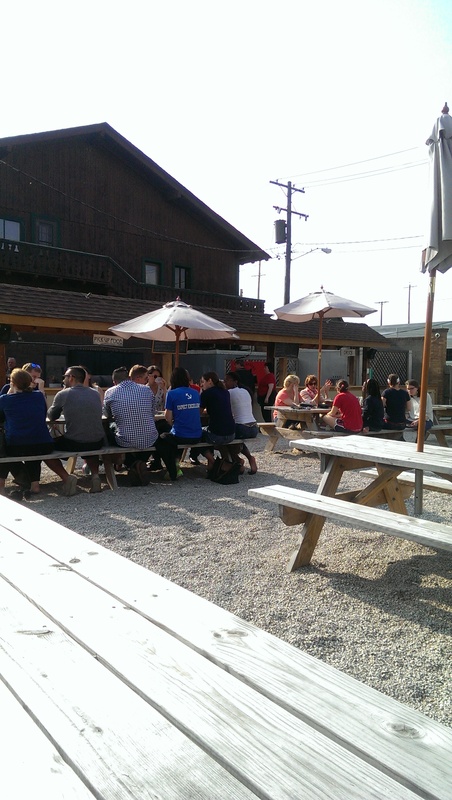 It’s a great place to sit outside in the summer and share a pitcher of good beer with friends. Change is good, but there is a fine line to walk to keep your loyal regulars happy while attracting new customers. As one Yelp reviewer aptly stated: “As the older generation dies off and the gentrification of the inner-ring suburbs continues, places like Sterle’s risk being lost forever. Sure, Sterle’s is a bit rough around the edges, stale perhaps. They could use a bit of an update. Sterle’s is also a piece of my city that I don’t want to lose and a piece of our heritage that deserves to be preserved.” I think Chef Jarrett can do it, and I’m excited to see what they do with the place. As of now the plan is to keep with the current menu and introduce BBQ items as specials on Thursday, Friday and Saturday. As I said before, Friday will be smoked prime rib night. I was invited there during Walter and Scott’s first week for a special dinner they prepared and was blown away by several things they are toying with. 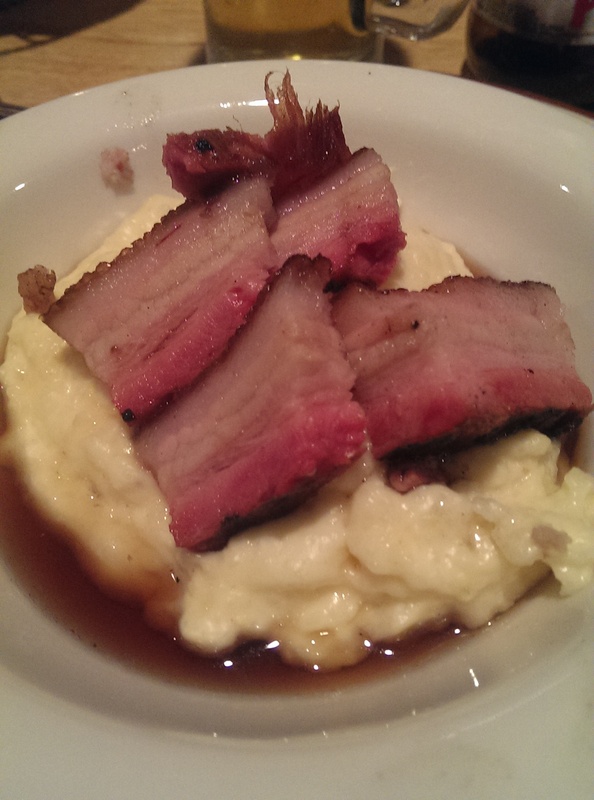 They served us some delicious creations: polka fries (spiral-cut potatoes with cheese sauce, bacon, and jalapeno), smoked lardons over cheesy grits with a maple syrup, humongous beef ribs (aka Flintstone ribs), and smoked pork with sweet potato salad and sauerkraut. I’m not posting the photos here since I am not sure they will be on the menu all the time, but be sure to click the link and check out the photos. I wish them lots of luck. That area really could use some revitalization. This is an exciting prospect. 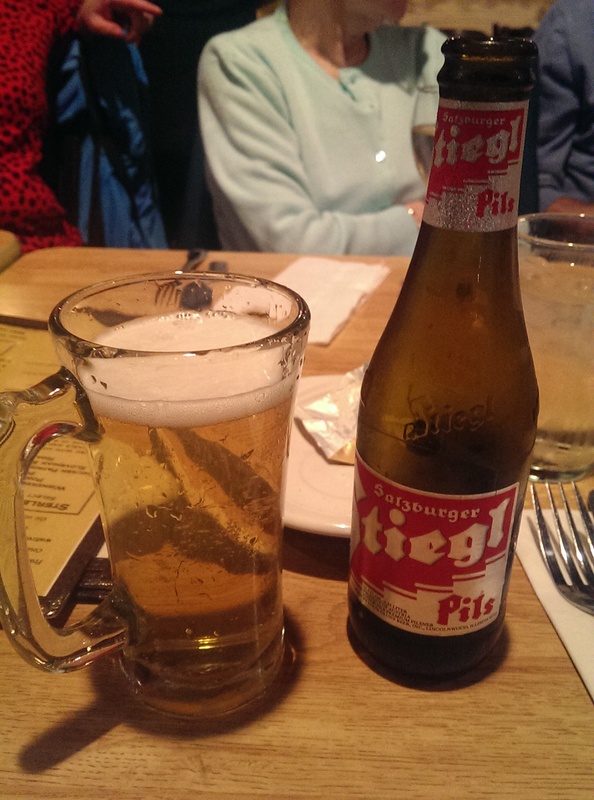 Stiegl–I will have to remember that I didn’t know that had it.